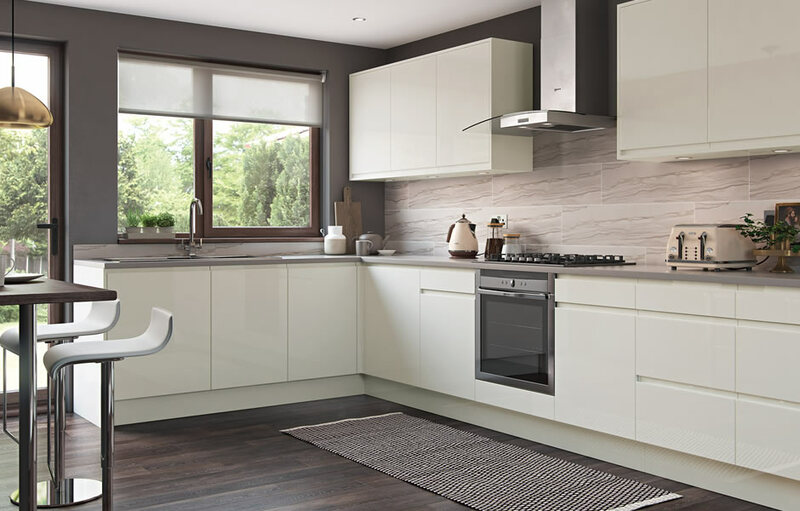 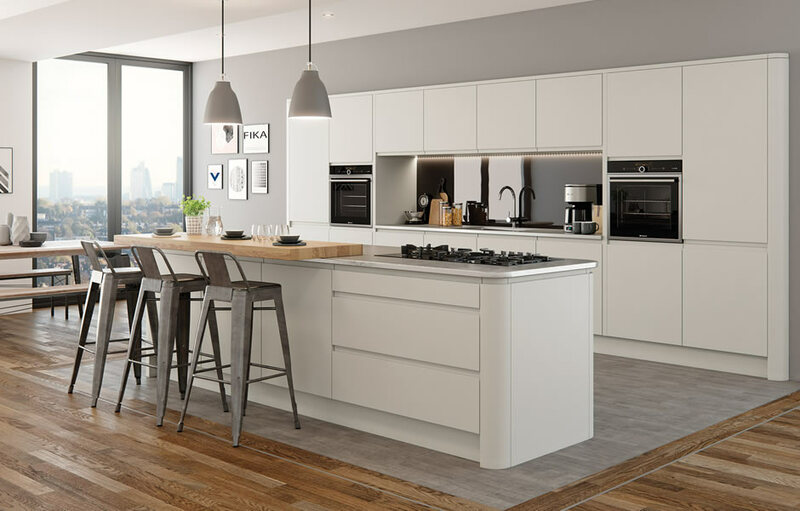 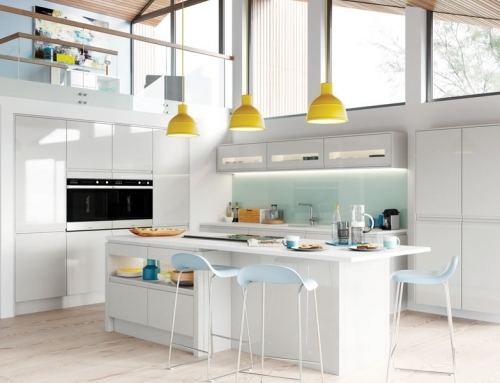 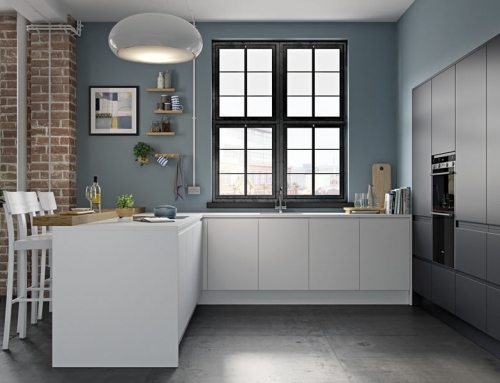 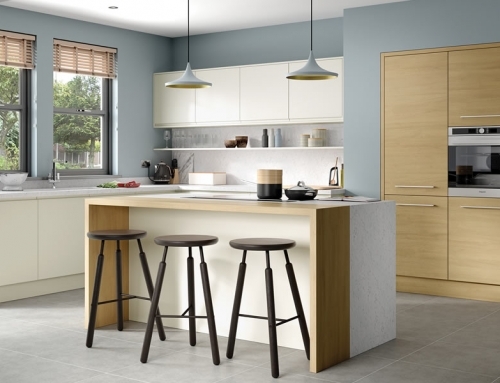 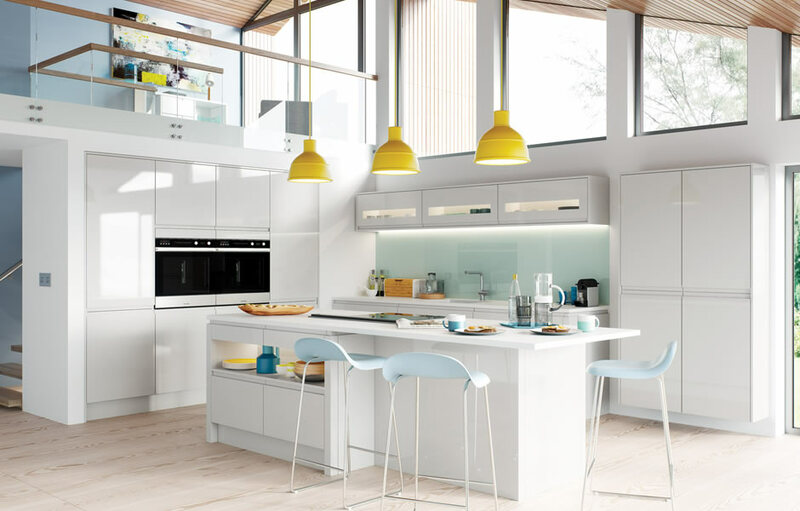 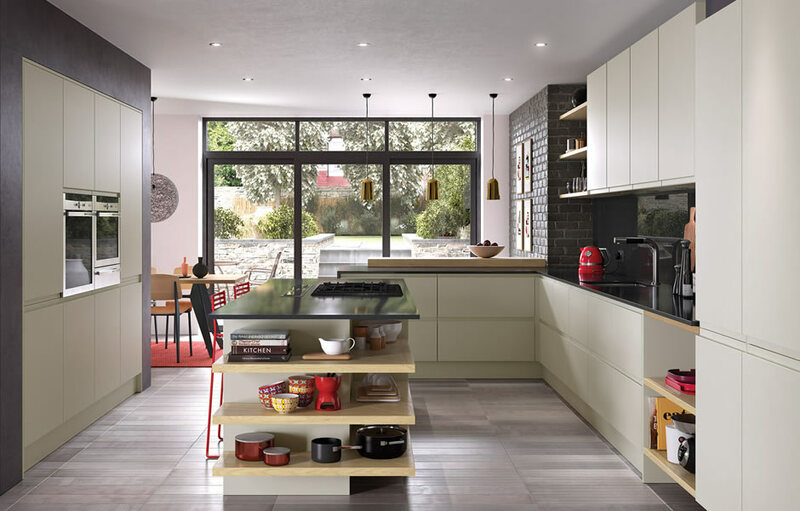 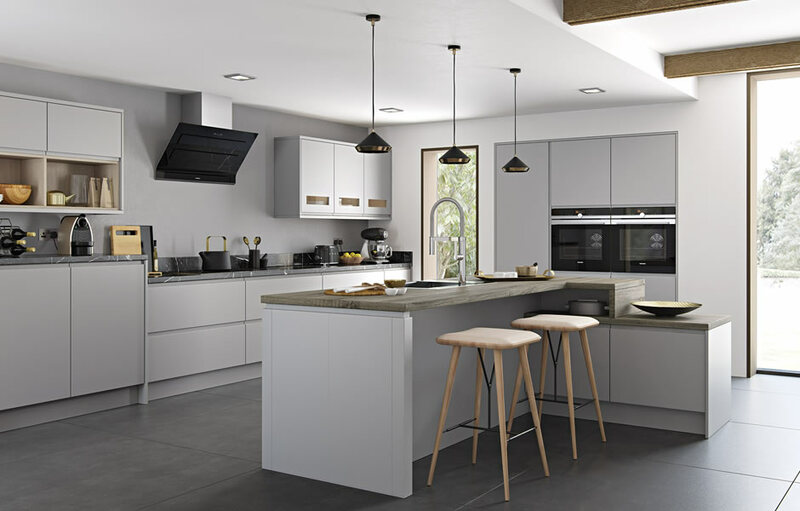 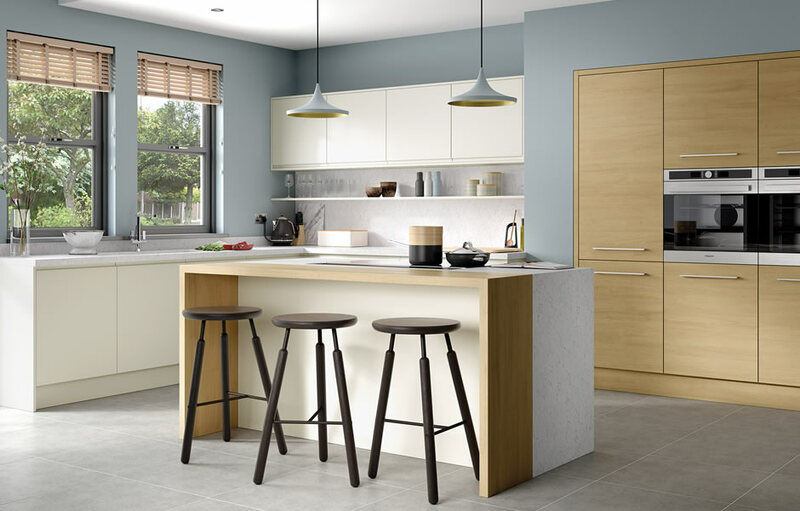 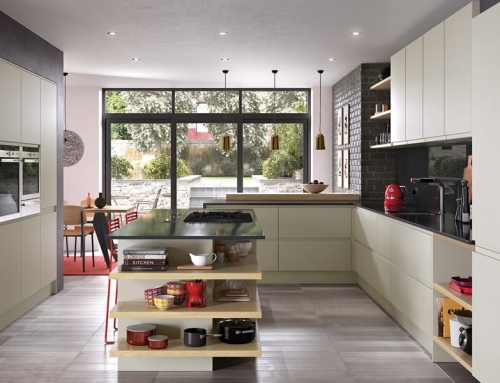 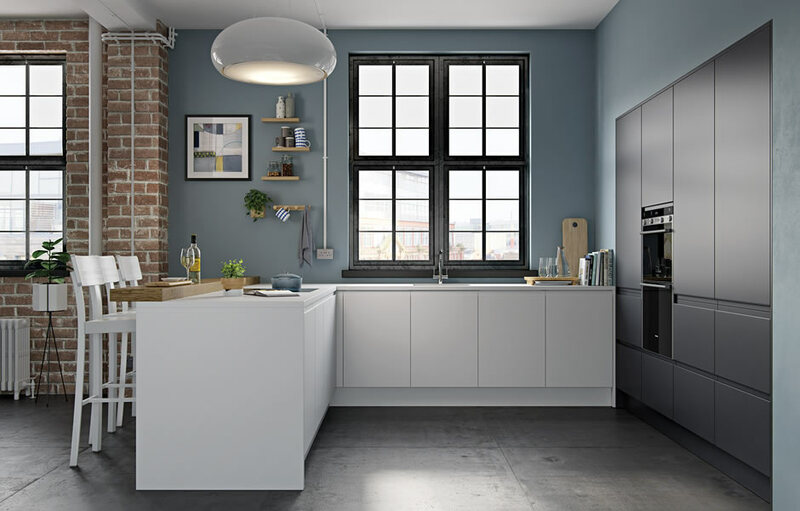 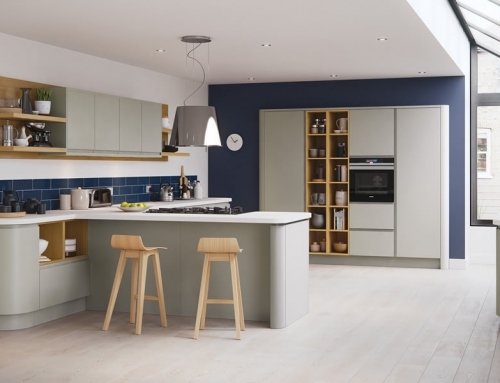 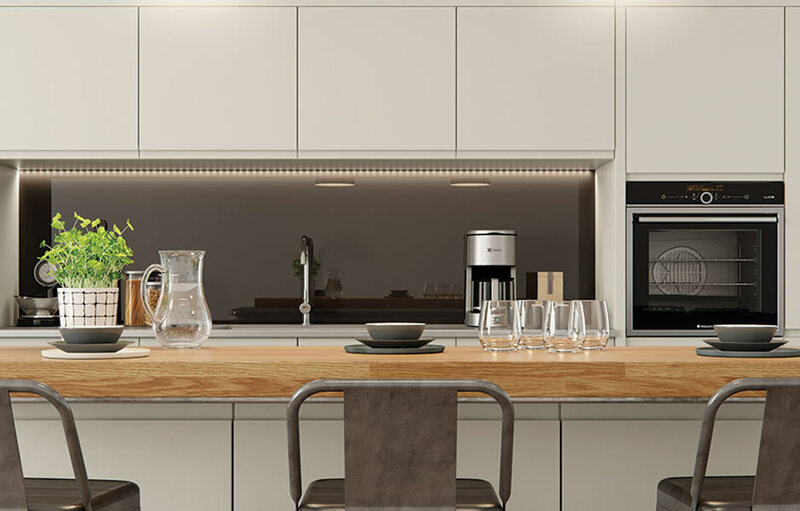 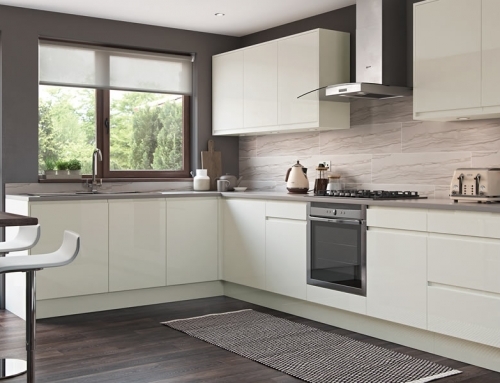 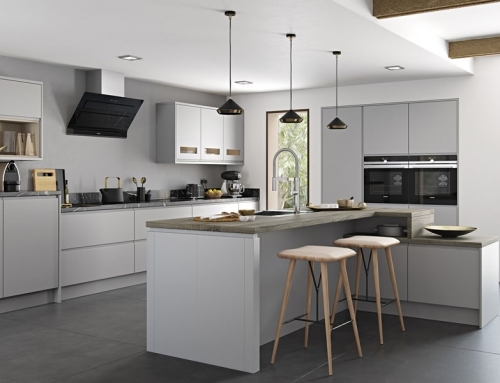 Strada benefits in making a modern and contemporary statement with the elegant handleless doors. 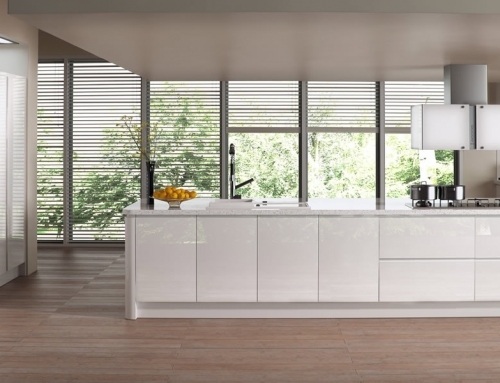 It is an exceptional product that is stylish, yet practical with a superb matte finish in porcelain. 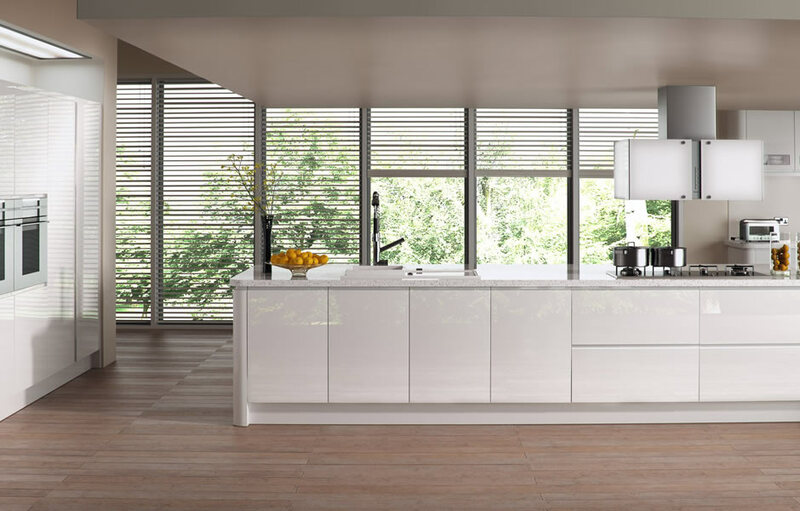 The Strada’s curved doors and accessories blend flawlessly into the pleasing environment to create a fresh looking kitchen. 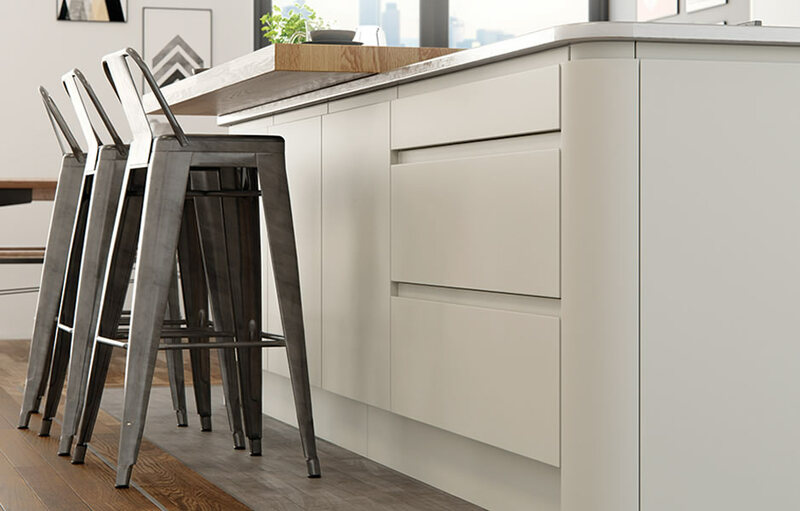 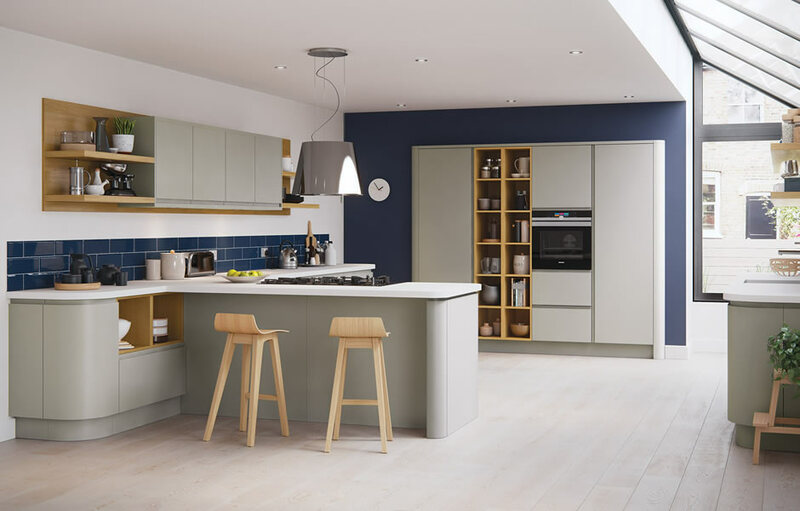 The clean lines with a fashionable look achieved from handleless cabinets will keep your fine kitchen looking current for longer.